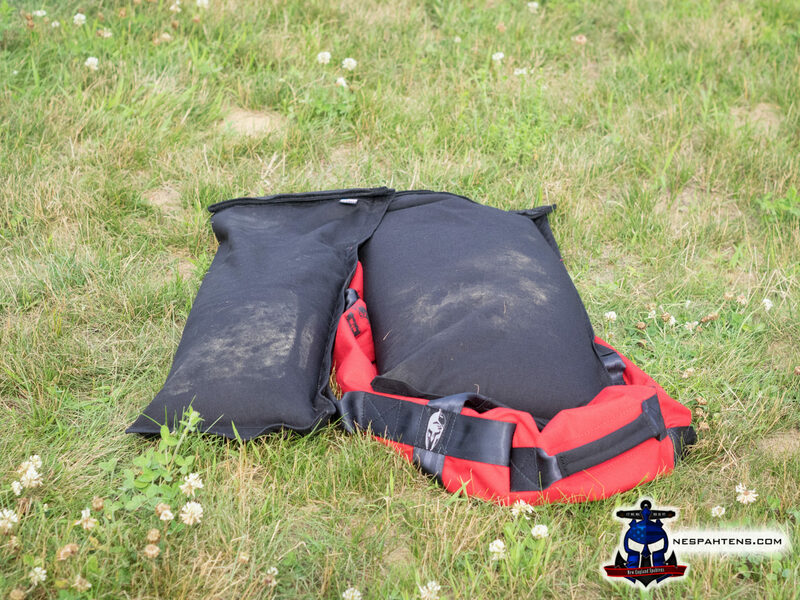 As an obstacle course enthusiast – maybe fanatic – a good sandbag should be in your arsenal for training. 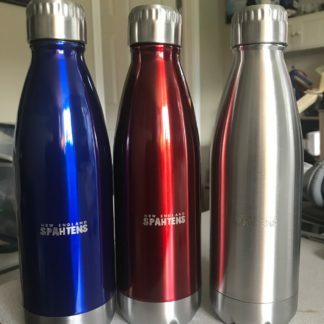 They’re awesome for simply throwing over your shoulders and hiking up a hill, to sprints, to much more technical routines than I’m qualified to recommend or dig into. In fact, most races these days have some form of sandbag carry built into them. 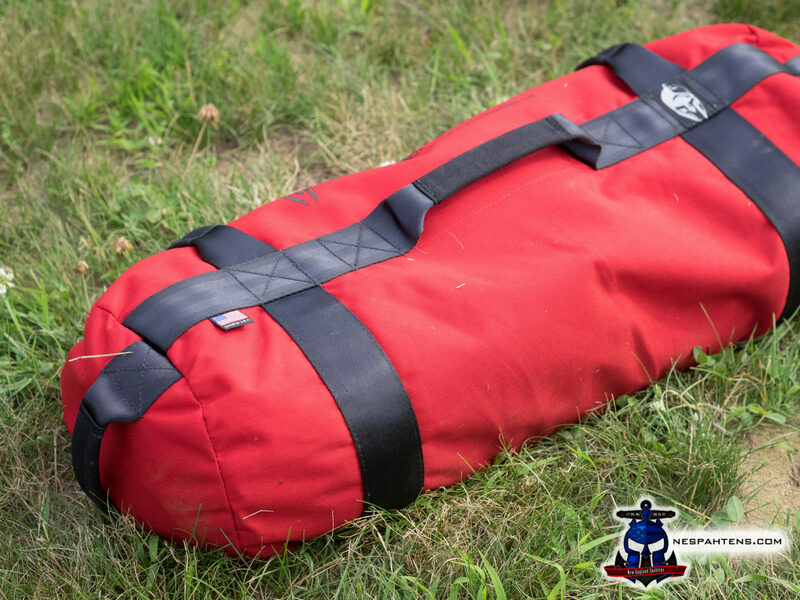 This may be a simple “pancake” carry at a Spartan, to a significant Wreck Bag carry at OCR World Championships. 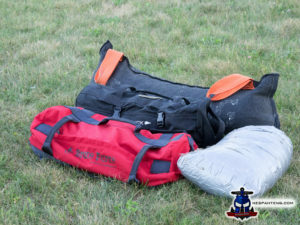 FIT has had Wreck Bags on course for many events now, and BoldrDash has a unique super long WreckBag that takes two to carry. In fact, with their signature orange handles, chances are high Wreck Bag is the style you’re most familiar with. However, there are many other games in town. 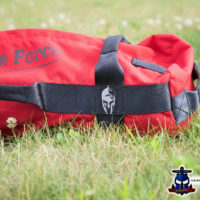 There are many vendors of sandbags or sandbag type equipment – and I’ve recently had my hands on such a beast from Brute Force Training out of North Denver. Two fillers fit together, or separately. 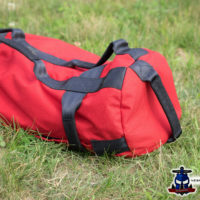 The bag I was provided with is a Firefighter Red Athlete Sandbag kit. This gives me the bag itself, and two filler sacks – one for approximately 50lbs of sand, the other for approximately 30lbs of sand. 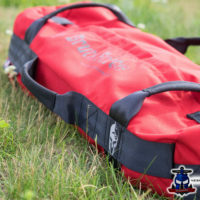 Unlike the very similar GoRuck sandbags, the filler bags are included, and unlike Wreck Bags – they are shipped empty, which is significantly easier for your mailman. I spent less than $10 on two bags of play sand from my local hardware store to fill mine, and had left over. 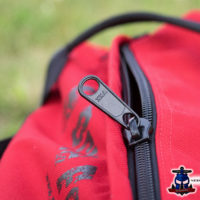 The bag itself is made of 1000d military spec Cordura, and has a seriously chunky YKK zipper. 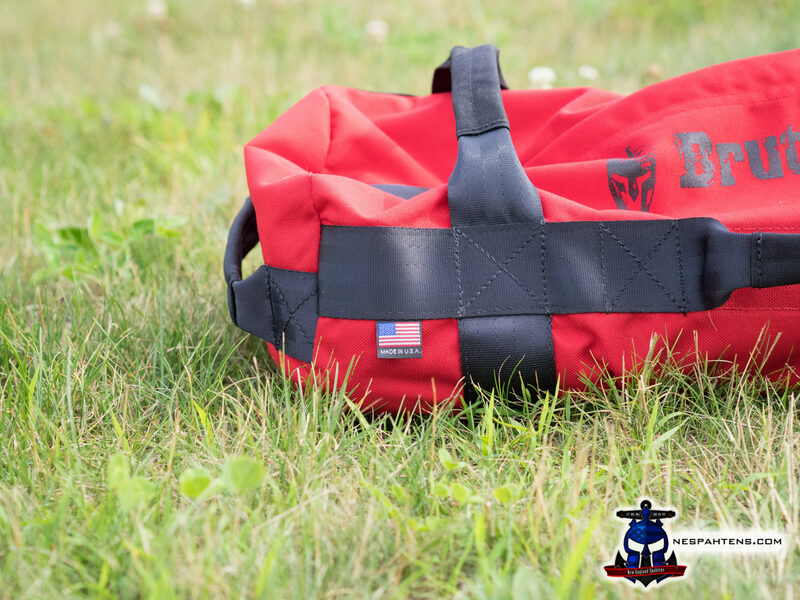 It’s 8 handles are made and supported by what looks like seatbelt webbing, and are incredibly comfortable in the hand, even under weight – and noticeably more so than the GoRuck models. The handles are rounded, and sit proud of the bag itself, so you’re not grasping, trying to find them. The handles themselves are oriented on both vertical and horizontal, and on each end – theres no end to the variety. 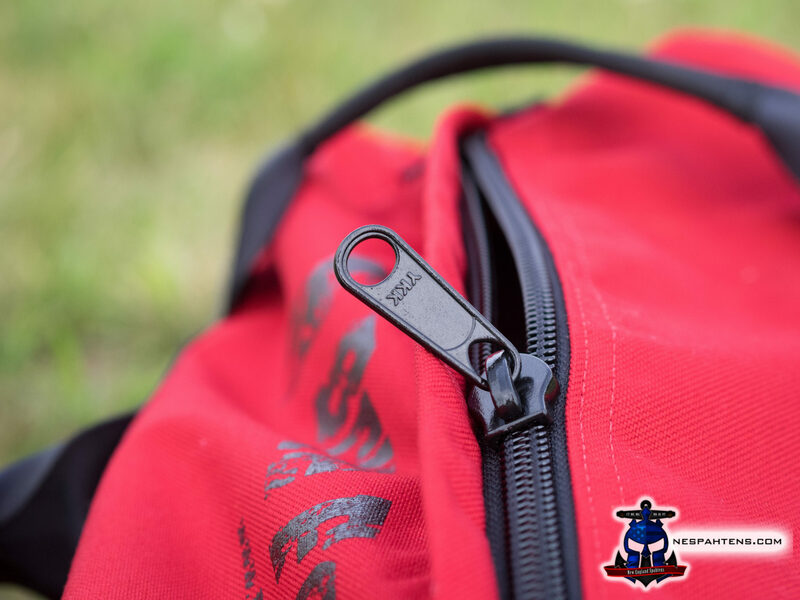 Don’t underestimate having contrasting colors too – black handles on a red bag are easier to find than the black on black GoRuck. The fillers are double velcro’d, and easy to fill. They have a red stitch line to indicate when they’re at weight, and purposefully leave some space for the sand to move freely, creating an unstable load. One bag is rated to 50lbs and wider than the second bag, rated to 25/30lbs. Both fit in the shell together, or separately – so you can mix and match and create your own sandbag weight. Of course, you can partially fill the filler bags to get your perfect weight at any time. Comparing this to what I believe is the most popular OCR sandbag on the market – Wreck Bags – there’s significant differences. 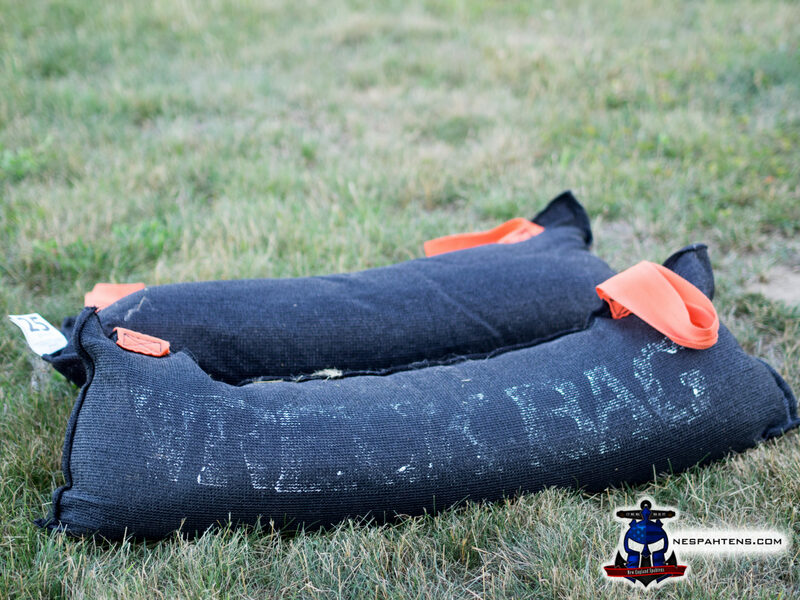 For one – Wreck Bags ship full, and don’t use sand – instead they use a proprietary rubber pellet system designed to not shift, rot, or gain weight when wet. They only have a couple of handles, unless you buy the optional grip straps, and the weight isn’t variable. 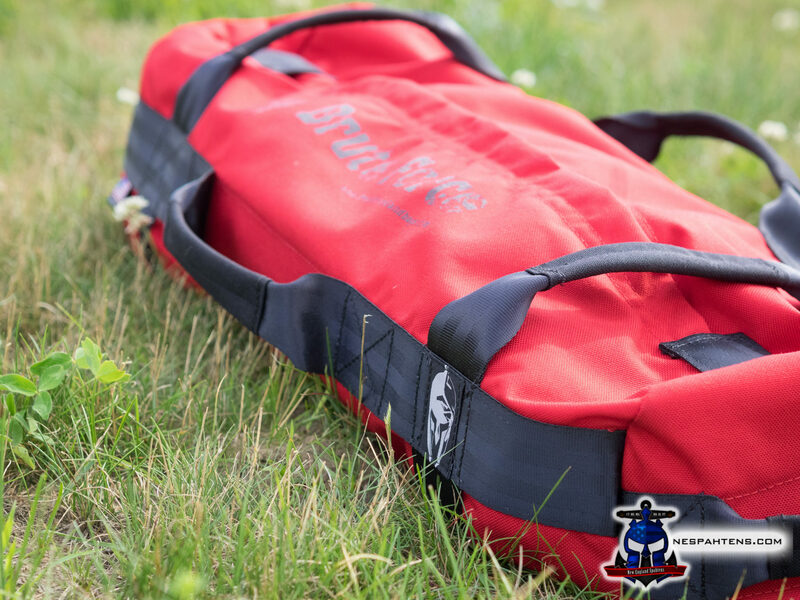 If you’re storing your training tools outside, or have the potential for them to get wet – a Wreck Bag is an instant no-brainer. 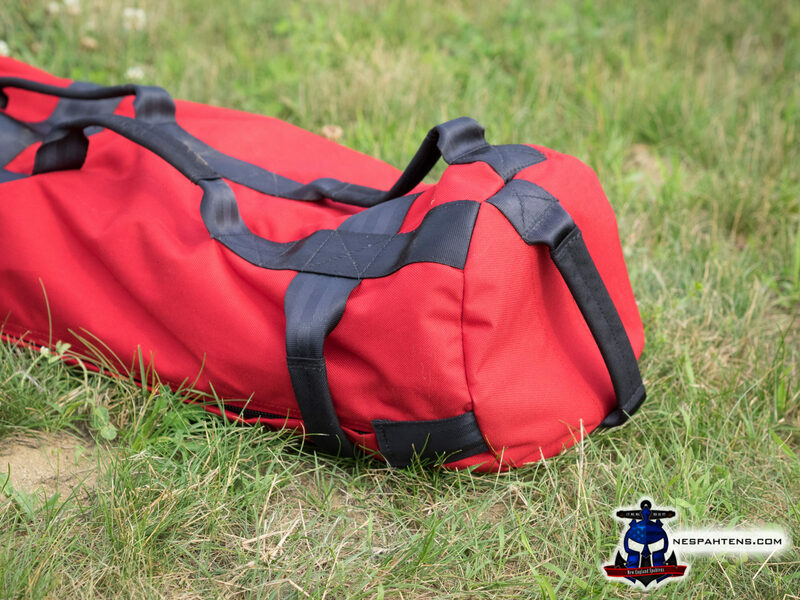 If you’re buying in bulk for an event or gym, Wreck Bags will last a life time. 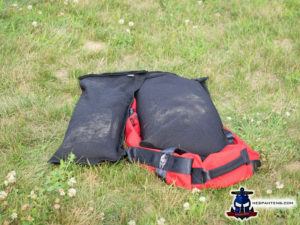 In fact – the 50lb Wreck Bag in these photos is one of the first bags they’ve ever made, and it’s looking as good now as a new one – if a little dusty. Not a pulled stitch or tear to be found. Another popular option, already mentioned, is the GoRuck Sandbag – which appears to be similar in many ways to the Brute Force sandbag – both are 1000d mil spec Cordura, both bullet proof in construction, although GoRuck make you buy your filler bag separately. More on that, below. 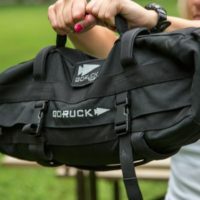 In fact – GoRuck have legendary build quality – and a legendary Scars warranty to back it up – but Brute Force is no slouch, either. It’s nice to see they want to work with you to resolve any problems, and it’s worth noting that Brute Force *and* GoRuck specifically mention slamming and dragging as reasons for exclusion from their warranties – yes, even the famous Scars warranty won’t cover slamming and dragging. When it comes to buying, it’s not always so straightforward. Lets assume we’re shopping for a 60lb training bag. 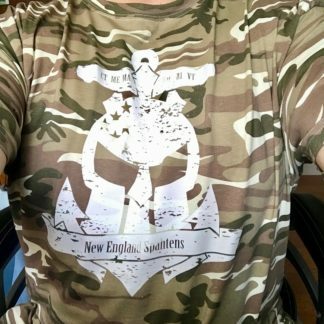 Prices include shipping from the vendor website, to MA, as of 7/17/16. Tax not included. Wreck Bag: 60lb bag – $159.95. Free shipping. You would need to include the additional Wreck Ribs for $29.95 to get the flexibility of the Brute Force or GoRuck bags – but you need no sand. 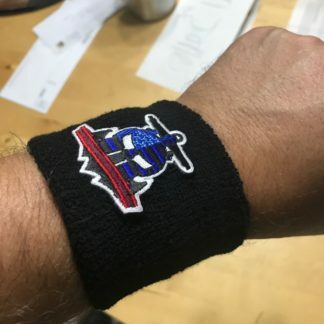 Available in several sizes – but the size you buy is the size you get. 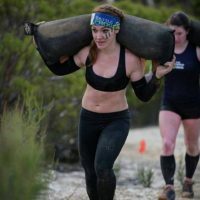 GoRuck: A single 60lb filler bag was $25, and a 60lb shell was on sale at $69 for a total of $99 inclusive of the $5 shipping. 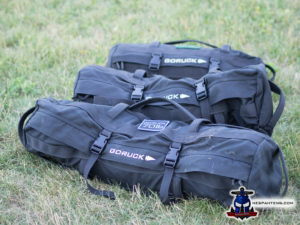 Worth noting that GoRuck had a sale on the shell, which was normally $85 – and they had limited filler bags available, 40lb and 60lb only. Are they getting out of the sandbag game? 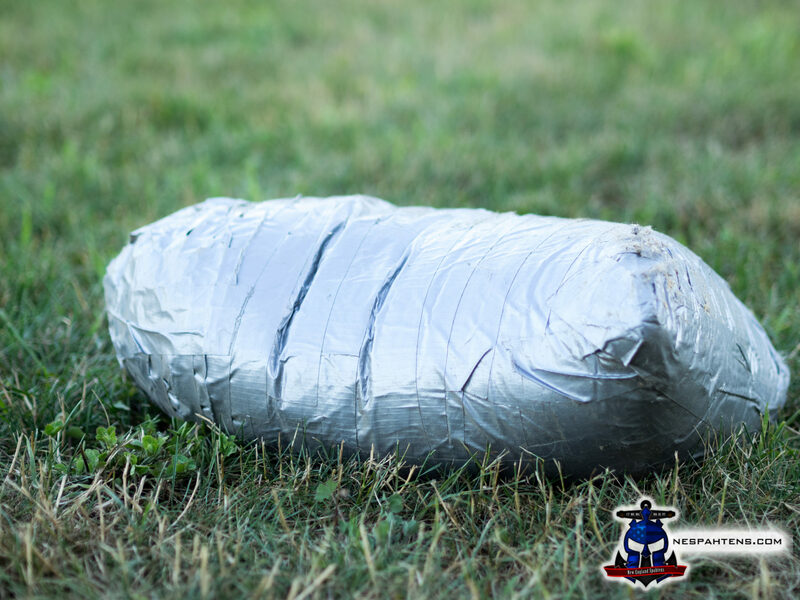 Available in 20lb, 40lb and 60lb shells, with 20lb, 40lb and 60lb filler bags – if they get them back in stock. 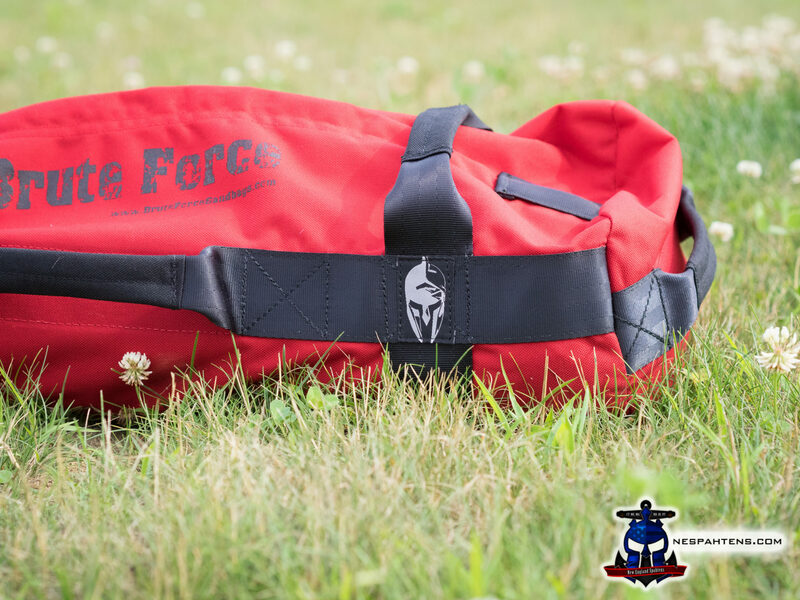 Brute Force: The Athlete Kit gives you the Sandbag shell, rated to 75lbs, a 50lb filler bag, a 30lb filler bag for $129.95, plus $15.20 shipping. For a total of $145.15. Smaller kits (and larger kits) available, each one with multiple filler bags included. Add $5 or $10 for sand. What about the spoiler in the room? The home made, duck tape special? 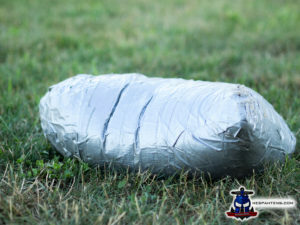 This 50lb home made sandbag is a simple $5, 50lb bag of play sand – wrapped in as much duct tape as I could. 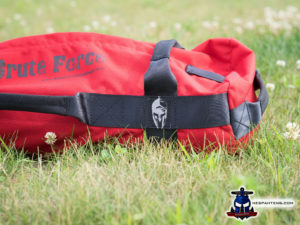 It’s not particularly versatile or flexible, prone to busting open and no handles – but if all you want is weight, throw this in a ruck and off you go for very short money. So you have some cash in your pocket and you want to buy a sandbag – which should you buy? I think the home made bags are t0o limited in their scope. 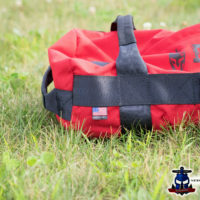 I’m concerned about the lack of availability and flexibility in the GoRuck filler bags – and the sale price on their shells – which brings it down to the Brute Force bags and of course, Wreck Bag. 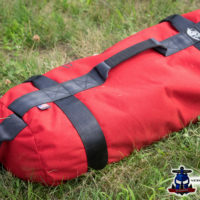 Wreck Bag are New England owned, and bomb proof. The contents of each bag will never get heavier in water or rot, and they can live outside. The weight doesn’t shift, and the bag is well built. However, they are a little limited in how you can “handle” them, without buying the extra ribs, and the weight is non-adjustable. 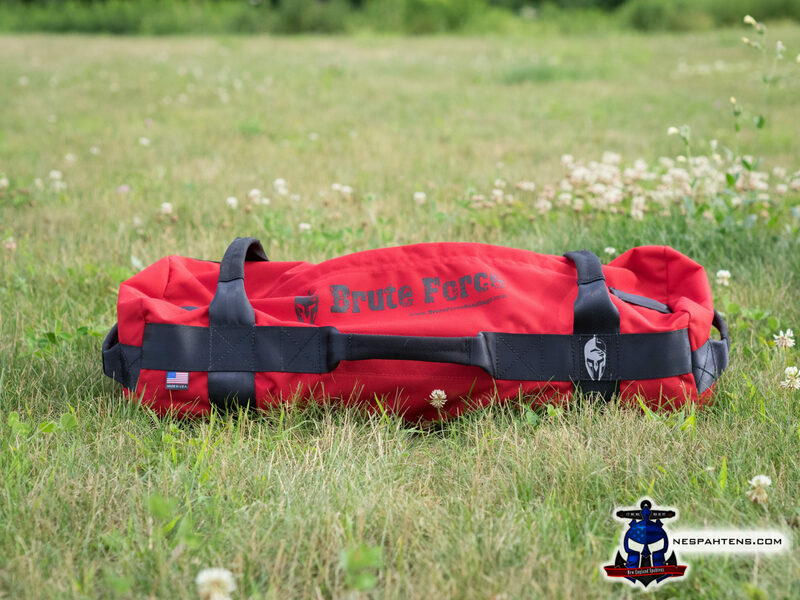 Brute Force offer a Made in America bag that is also pretty damned bomb proof. Sand is cheap and easy to get, but will get heavy if you soak it. The weight does shift, which they consider a feature, and the multiple filler bags mean you can tailor the weight to your needs. Plenty of handles that are comfortable. 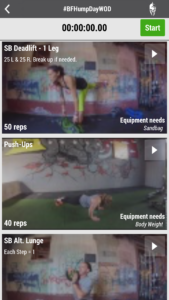 As an additional, Brute Force produce an app that delivers a daily sandbag and bodyweight workout – it shows you each movement in a video, gives you a workout of the day, and lets you time and track your results – while you can do the workout with any sandbag, Brute Force are the guys producing it – it’s a nice touch. 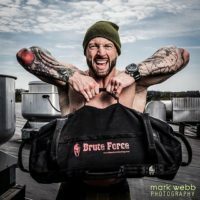 Wreck Bag have a certification program and trainers in real gyms – both pushing the scope of what a simple “sand bag” can do for you.